So, in Brazillian schools it is usually taught that the American continent is divided between North, Central and South America, and which country belongs to each division is well defined. Nonetheless, I often see other definitions around the Internet. What are your thoughts? I, like anyone else, am probably biased toward what I was first taught. I like it, but I don't know if there is a decisive argument for or against it. The one I believe is the most common in the United States. In this case, the continent would be divided between North and South America only. Last edited by Brace on Mon Oct 06, 2014 12:54 am UTC, edited 1 time in total. I'm from the Caribbean. We were taught North America is Canada, US and Mexico. Central America was everything down to Panama and then you have South America. The Caribbean was its own thing, but that's probably because we spent a lot of time learning about Caricom and stuff. In atlases, the Caribbean is generally found with Central America or sometimes 'Central and South America' , but I don't think I've ever seen us lumped in with the North. Here in the States, I was taught both I and II with continents being defined by I but that II were useful geographic regions. That is, that the continent of North America cotains the regions of North and Central America. JudeMorrigan wrote: Here in the States, I was taught both I and II with continents being defined by I but that II were useful geographic regions. That is, that the continent of North America cotains the regions of North and Central America. I think you have I and II backwards here. But otherwise, this is the way I was taught as well. Gurk. Yes, I do. Sorry about that and thanks for the correction. I define North America to include Canada, the USA, Mexico, and Greenland. I'm a native [2nd generation] Canadian. From the US here. I've been taught several conflicting things, but the one that stuck in my brain was the inclusion of Central America (and much of the Caribbean) into the geographical region "North America". Then again, "America" over here is almost exclusively used to refer to the US, with "The Americas" referring to North and South America collectively. Latin America consists of Mexico and Central and South America. I'm still not totally sure where Hawaii fits into all of this, but I'd be inclined to lump it in with Oceania. I was reading about the history of Hawaii, and it was rather interesting/disconcerting how the US gained control of those islands. But that discussion is for a different thread. I went with 2 and would include Greenland. I was never taught a specific border but that's the one that seems the most natural. I might sometimes talk about central america/mesoamerica as a cultural region (the spanish speaking countries of my north america) but don't really see it as a disjoint set from north america. I count the Caribbean as part of north america although wish that treating it separately was more common. US here. I went with 2 also, but it was almost a toss-up between 2 and 3. There are multiple definitions, based on geopolitical boundaries. Traditionally, there are seven continents - North and South America, Europe, Asia, Africa, Antarctica, and Australia / Oceania. Of course, it has been accepted for quite some time that Eurasia is one continent, but Europe and Asia are still taught as separate continents too. The continental shelf rule is important, and includes some islands: Eurasia includes the British Isles and Sri Lanka (and possibly Japan and Borneo), but not Iceland or the Philippines; Australia includes Tasmania and New Guinea but not New Zealand; Africa does not include Madagascar; North America includes Vancouver, Baffin, and Newfoundland but not Greenland, the Bahamas, Cuba, or the rest of the Caribbean. It's whatever you want it to be. Unlike the word "planet," which astronomers got together and ruined for everyone, the word "continent" does not have any sort of scientific monopoly on it. That said, I always thought North America included all the little countries between Mexico and Columbia. Efforts to repackage it as Central America always struck me as vaguely racist. I went for 2, in terms of geographical definition (US). If we're dividing as Geographic Continents, then North America would encompass everything down to the end of the Panama isthmus (and, I'd say, probably include most of the Caribbean). There's no particular reason to stop North America at the US-Mexico Border--that's a man-made border subject to change. Same with the southern Mexican Border. And then even the Panama Canal, even if it may have formally split the American landmass into two halves... is manmade, and comparatively recent. Plus it has all the locks and everything anyways. So I'd say the most sensible geographic split would be at the end of the isthmus. However, if we want to delve into other factors... climate, socioeconomic status, cultural groupings, etc., then any number of these groupings could be applicable. 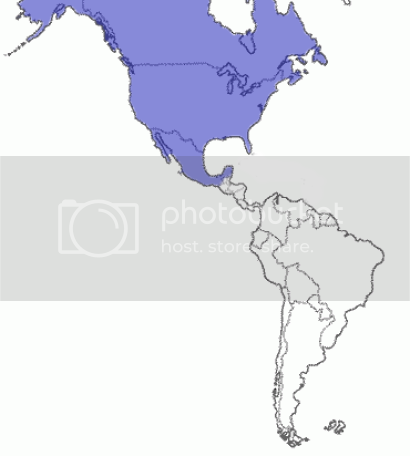 Central America, for instance, is definitely defined as a distinct region (excluding or including Mexico from case to case), although few in the US would call it a continent; they'd probably place it on the North American geographic continent, but culturally/socioeconomically within Central/Latin America. Why would it stop at the Panama canal? I'm from the US, and I was always taught that it was number 2. I was also taught that Central America was a distinct region, but not a continent. ahammel wrote: Why would it stop at the Panama canal? Not really because of the canal, but because the canal is (presumably) at the narrowest part of the isthmus. It perhaps makes more sense to divide the continents based purely on the land and waterways, and not on country boundaries. After all, the Suez Canal is widely accepted to be the boundary of Africa and Asia/Eurasia, leaving the Sinai Peninsula as a chunk of Egypt that is not in Africa. I doubt that many people would put the boundary between Central and South America at the present Panama-Colombia boundary if Panama were still a part of Colombia. Then again, South America just looks nicer in my opinion without that weird skinny part of Panama included. The problem, though, is that the Panama Canal goes over high land and wouldn't be a waterway without humans operating the locks. The Suez, on the other hand, is a nice simple sea-level canal. If the sea levels were raised, where would they first bridge the isthmus of Panama? That might make a good boundary. This map makes it look like it wouldn't make much difference. I assume this is because of mountains.